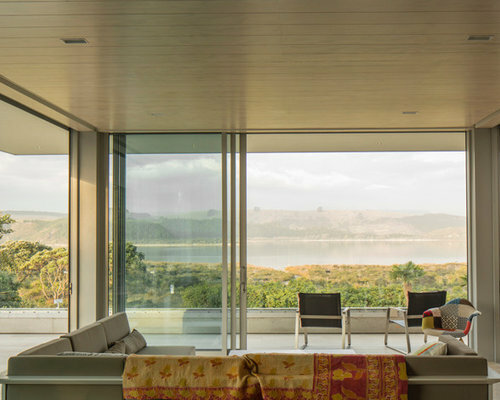 Orientated Northeast and overlooking one of Northland's lakes, this house is poised in position over a natural gentle ridge. 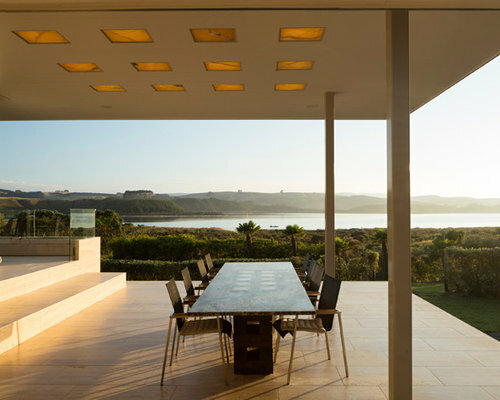 The view from afar reveals a collection of strong horizontal elements nestled within a surrounding planted backdrop. 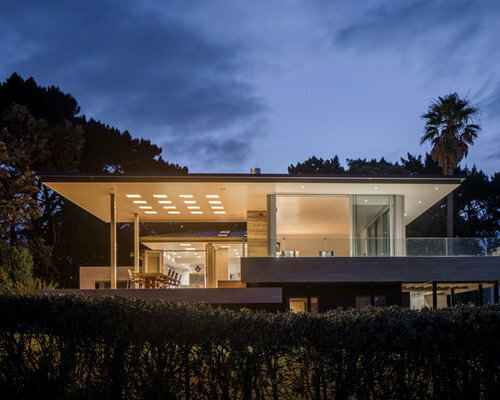 The fundamental dwelling space is an elevated exterior stone terrace platform with a 4 meter high veranda roof, open on three sides to the atmosphere. 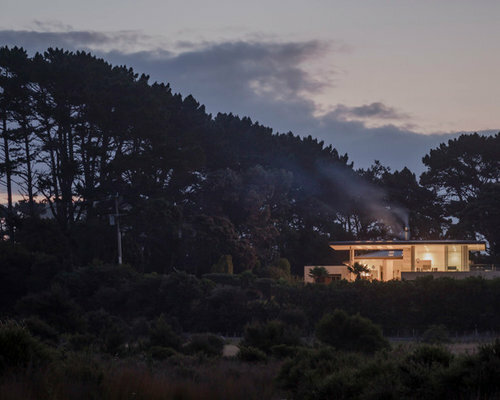 The fourth side includes an outdoor fireplace wrapped in a dark Italian travertine and provides structure to the roof and adjacent pavilion. 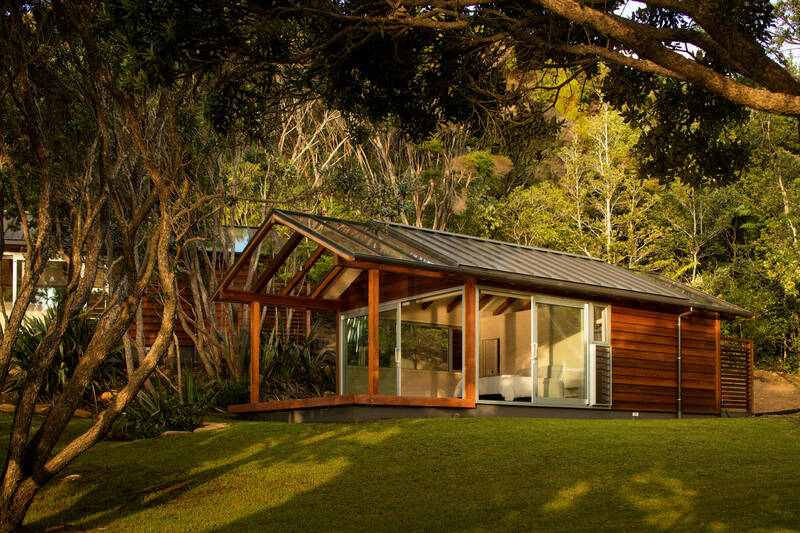 An interconnecting roof glides in an "L shape" between the platform and a three faced glass box living area. The roof is punctured with square light wells allowing natural light by day and supplemented by artificial light by night. These devices are diffused by honey coloured translucent onyx stone slabs providing a glowing ambient light in the evening. The entire floor and terraces are wrapped in stone tiles. 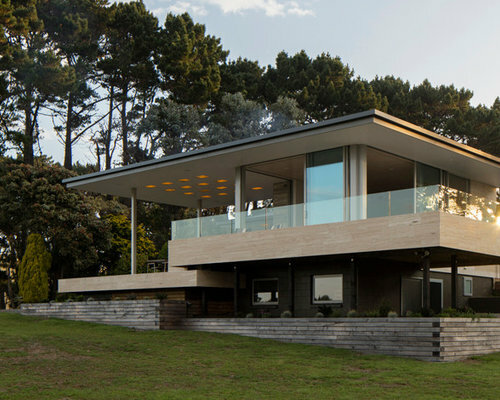 Exterior walls are clad in an Italian travertine limestone “plank” fixed horizontally to emphasize the horizontal line. Decks formally interlock with one another between levels and a double height void opens within the western deck to allow light into the basement bedroom courtyard space below. The glass balustrade extends only above a stone nib wall upstand to contain the space while also reducing the amount of visual glass on the elevation. 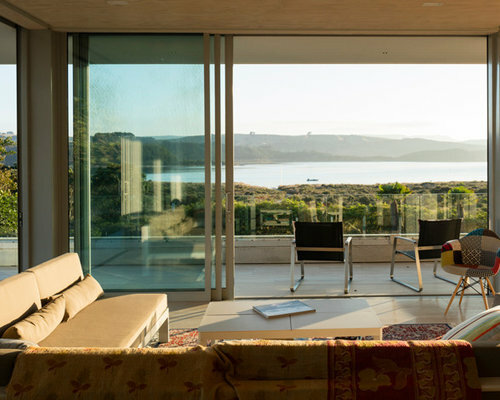 Sliding doors are optimized to a maximum size to reduce the vertical lines that would otherwise interrupt the 270 degree view of the lake and surrounding rolling hills.